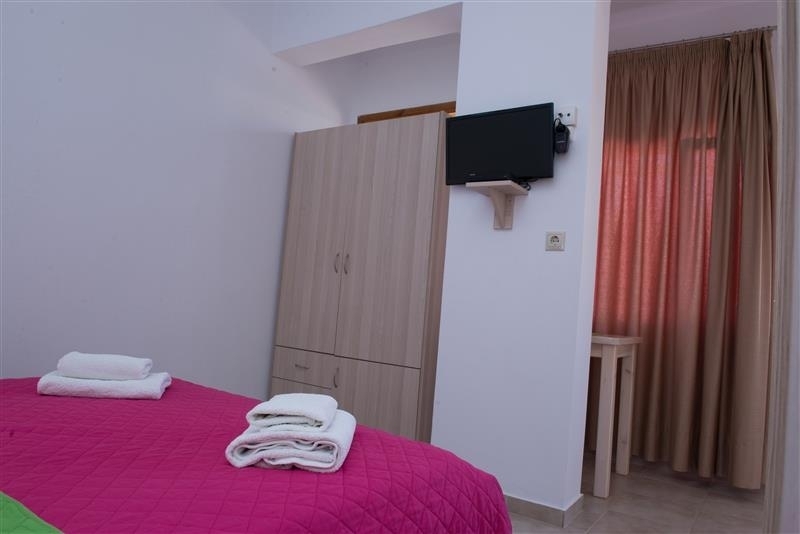 Airport shuttle, Laundry, Dry cleaning, Ironing service, Currency exchange, Bicycle rental, Car hire, Tour desk, Fax/photocopying, Ticket service, ATM/cash machine on site. 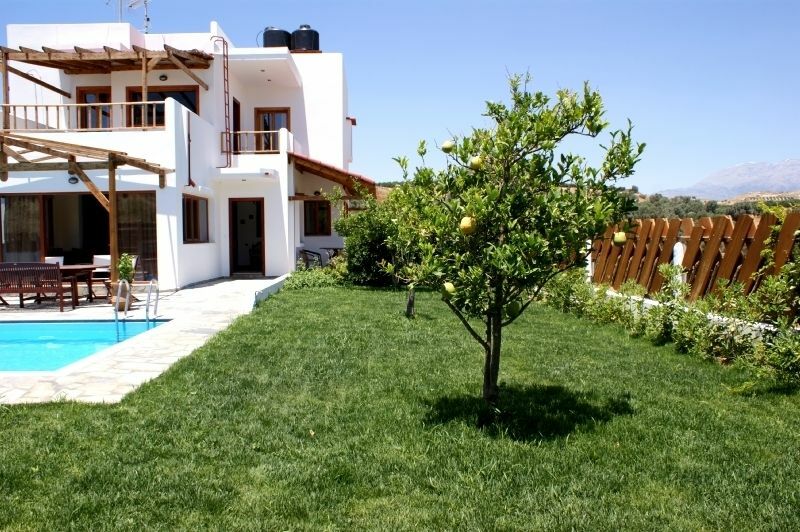 Massage, Children's playground, Library, Canoeing, Cycling, Diving, Horse riding, Snorkelling. 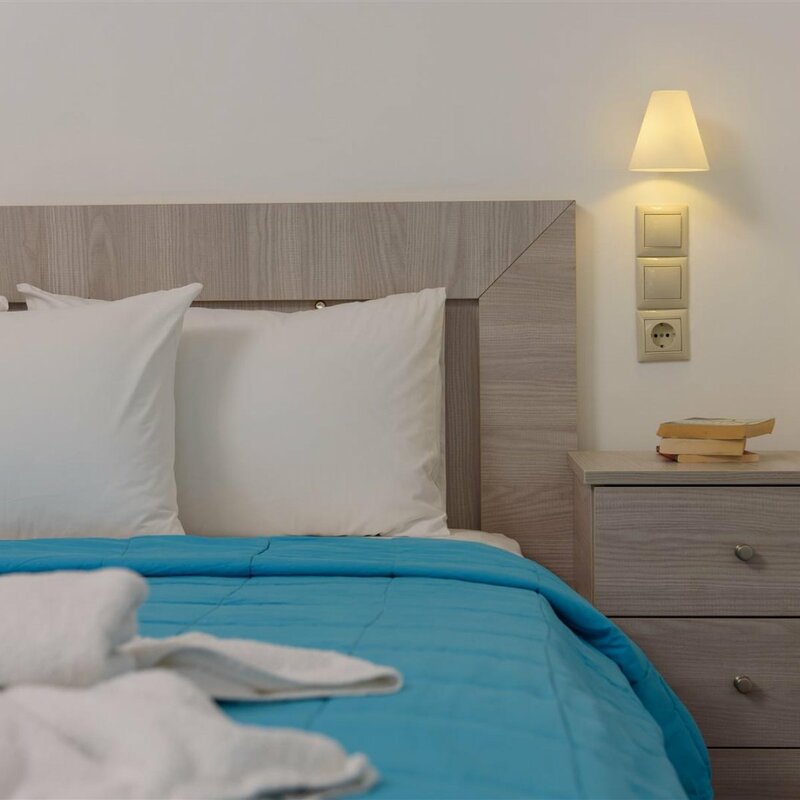 Your credit card will be charged with 30% of the total price. 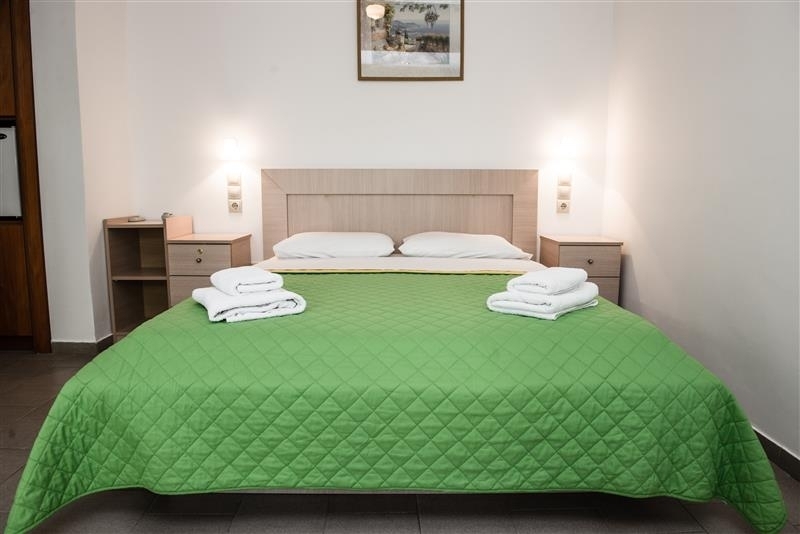 You will have to pay the rest 70 % in the hotel when you will arrive! 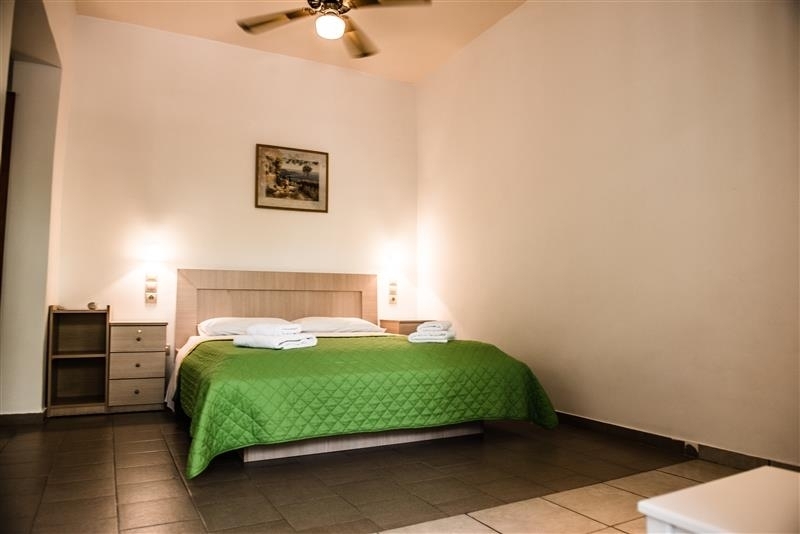 Deluxe rooms of our hotel have air conditioning (air-condition, fan), refrigerator and free wireless internet access. 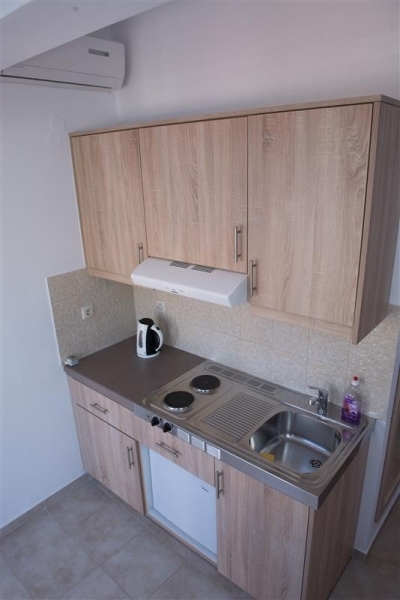 Some of them have satellite TV. 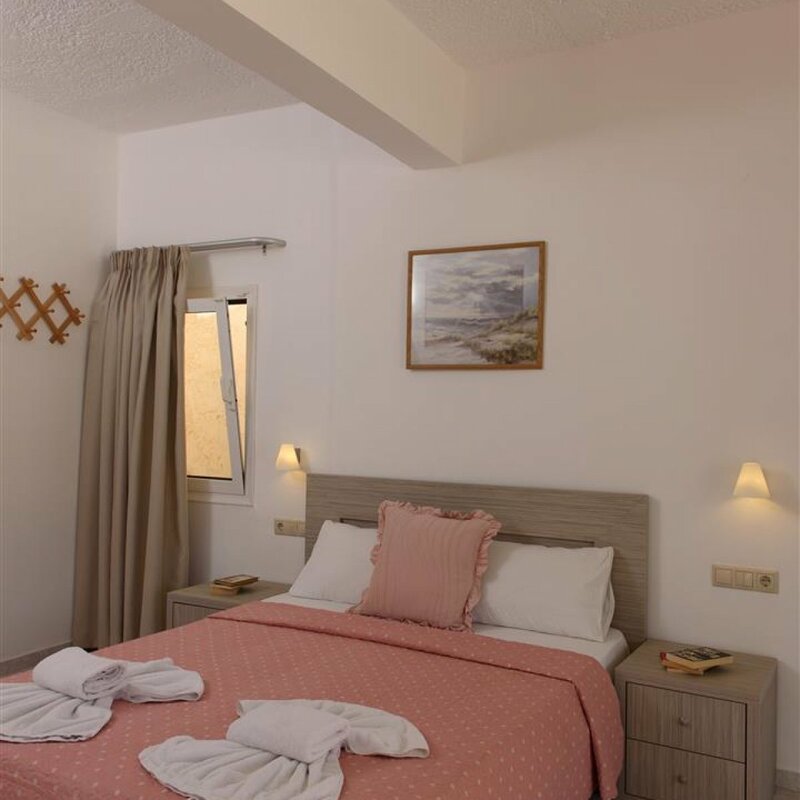 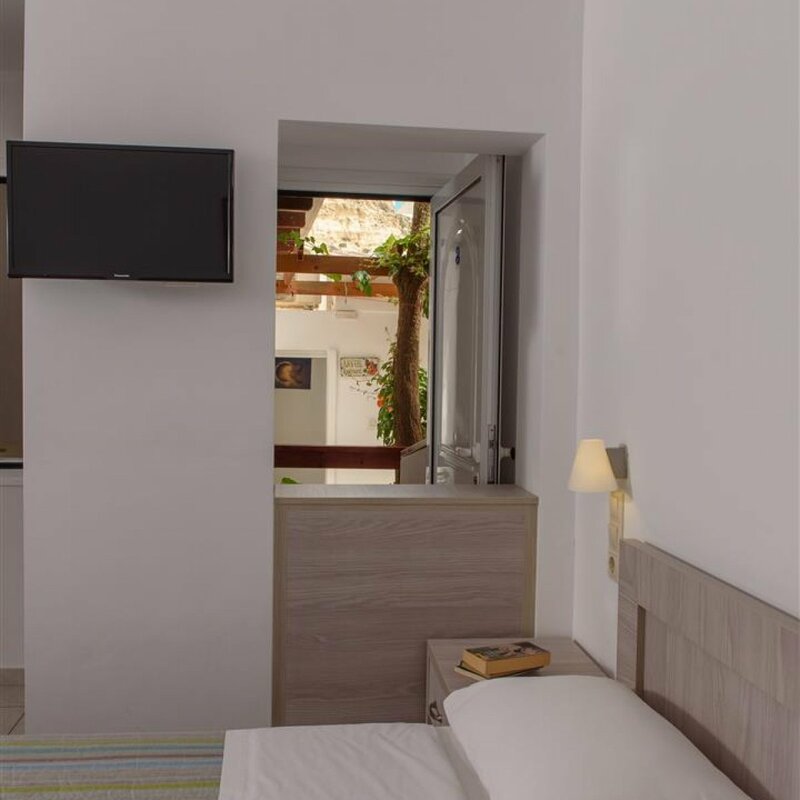 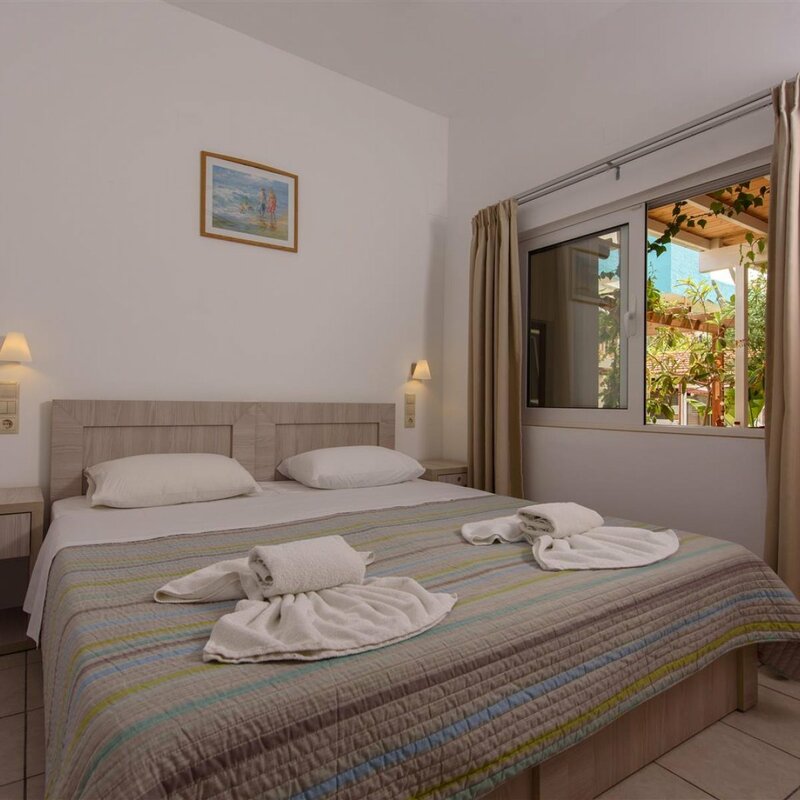 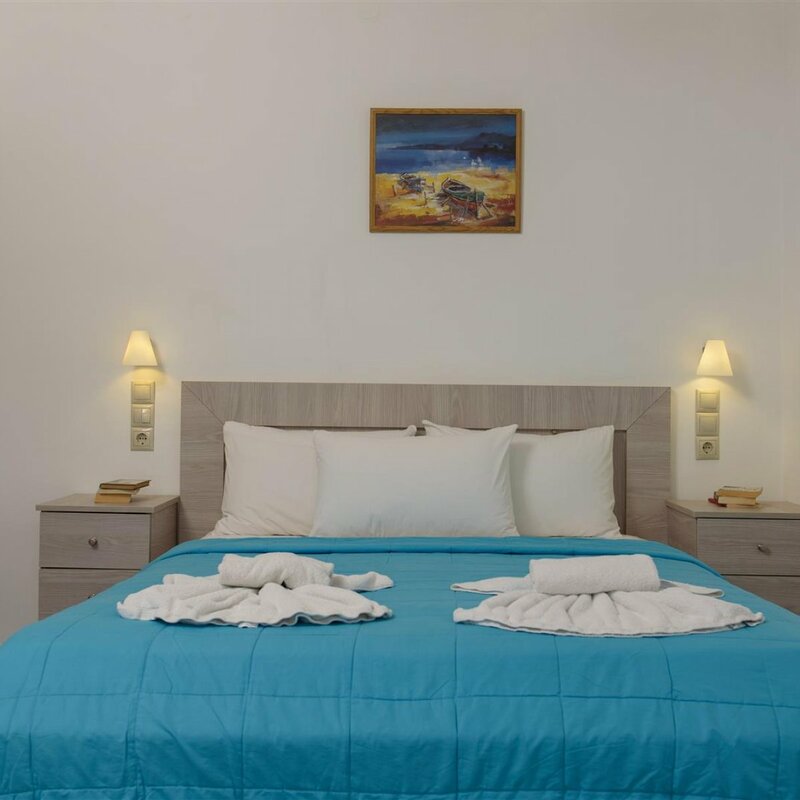 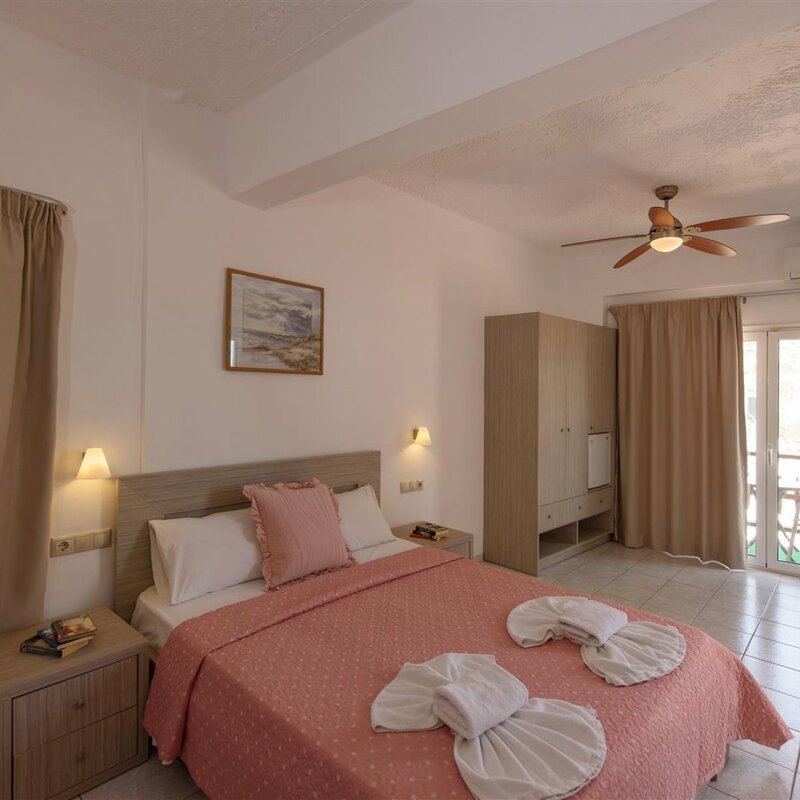 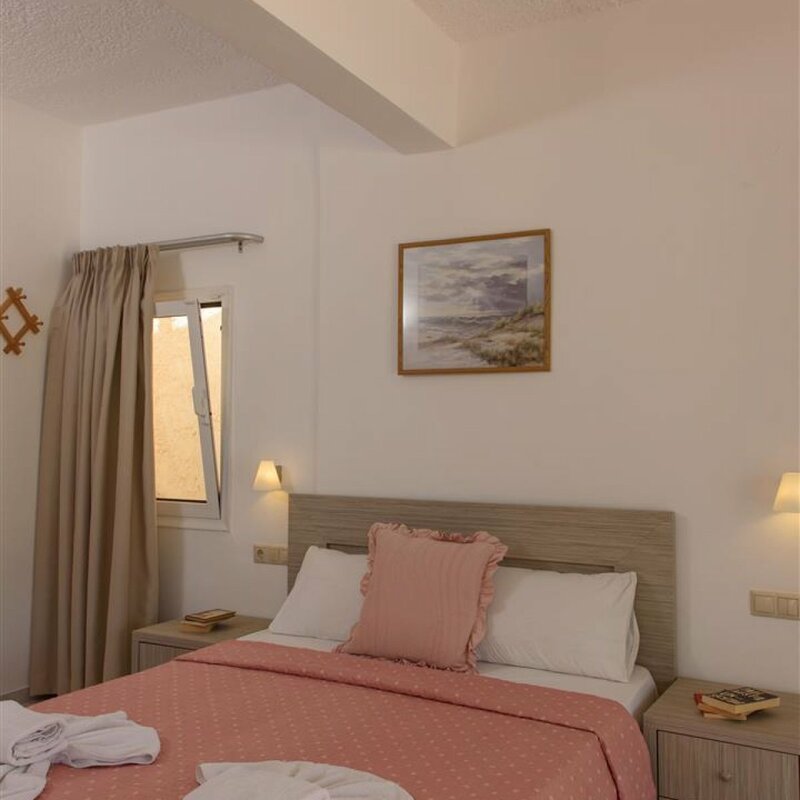 They are comfortable rooms with balconies with view to the famous caves and the sea of Matala or to the hotel's large garden. 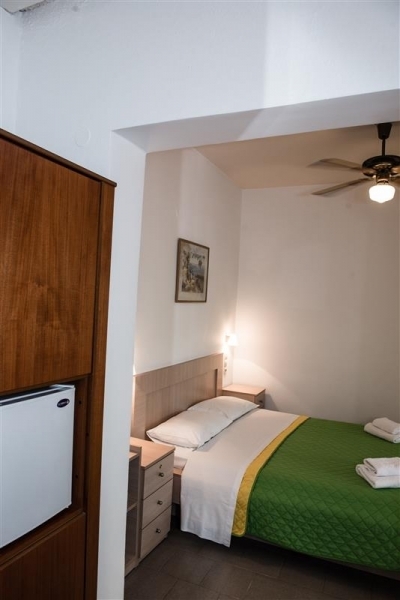 Superior rooms have air conditioning (air-condition, fan), refrigerator and free wireless internet access. 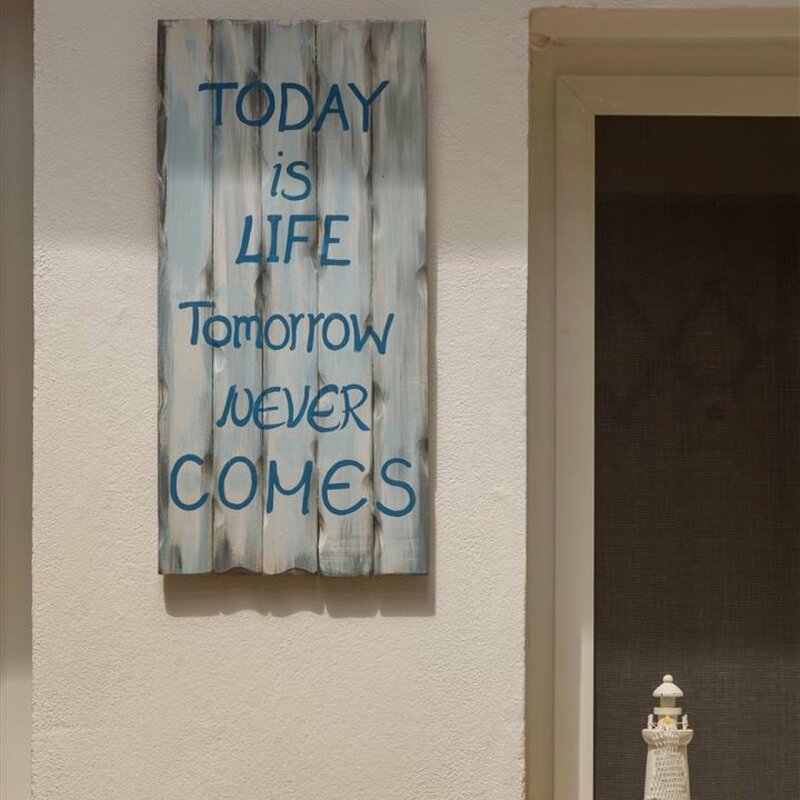 Some of them have satellite TV. 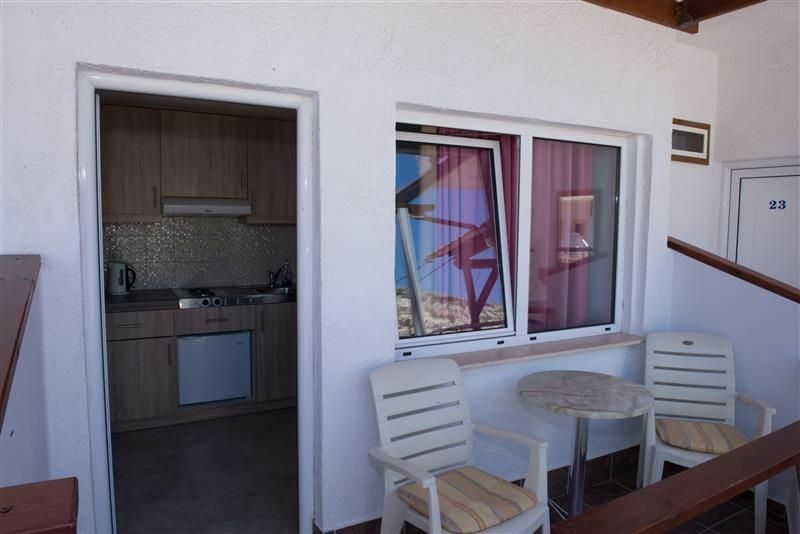 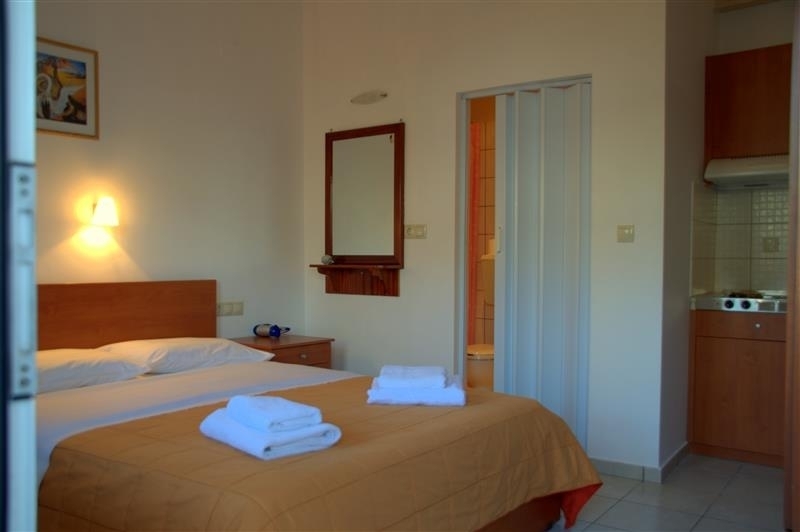 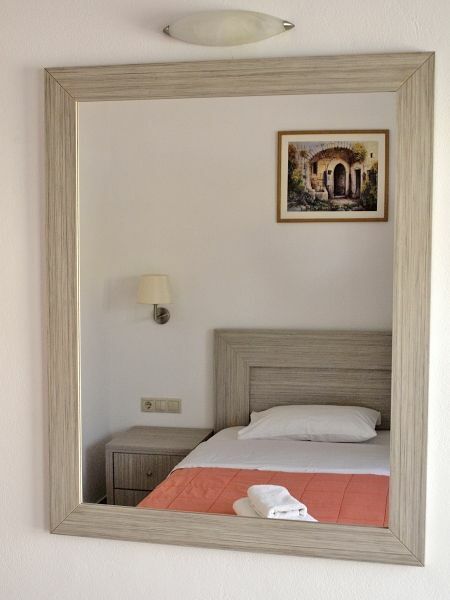 They are comfortable rooms with balconies with view to the famous caves and the sea or the garden of our hotel. 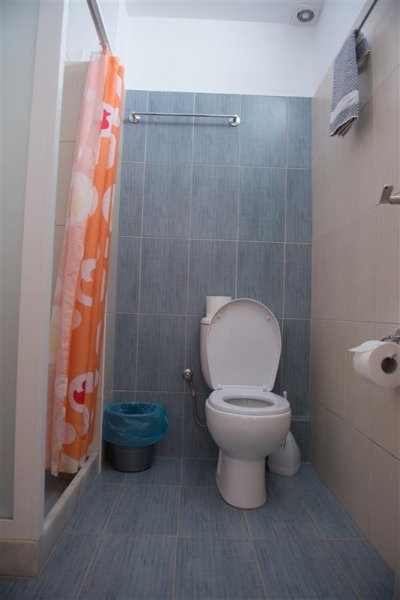 They can accommodate up to 3 people. 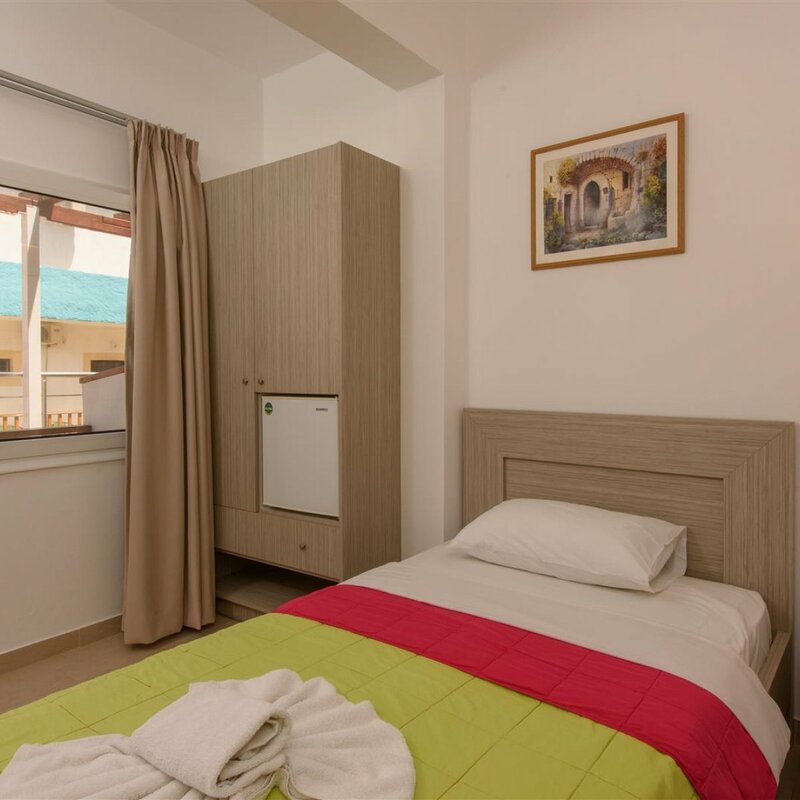 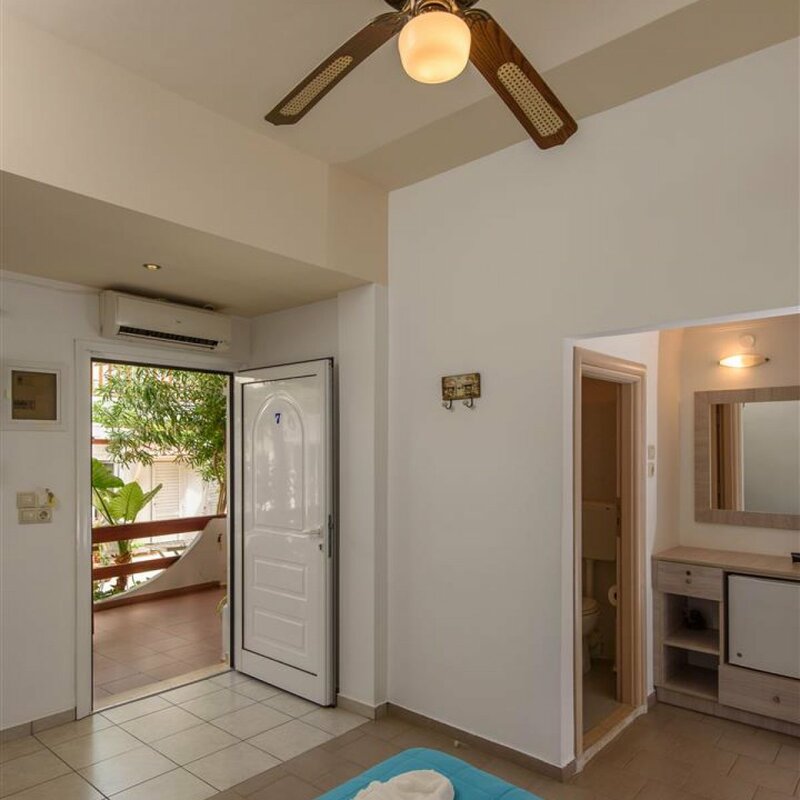 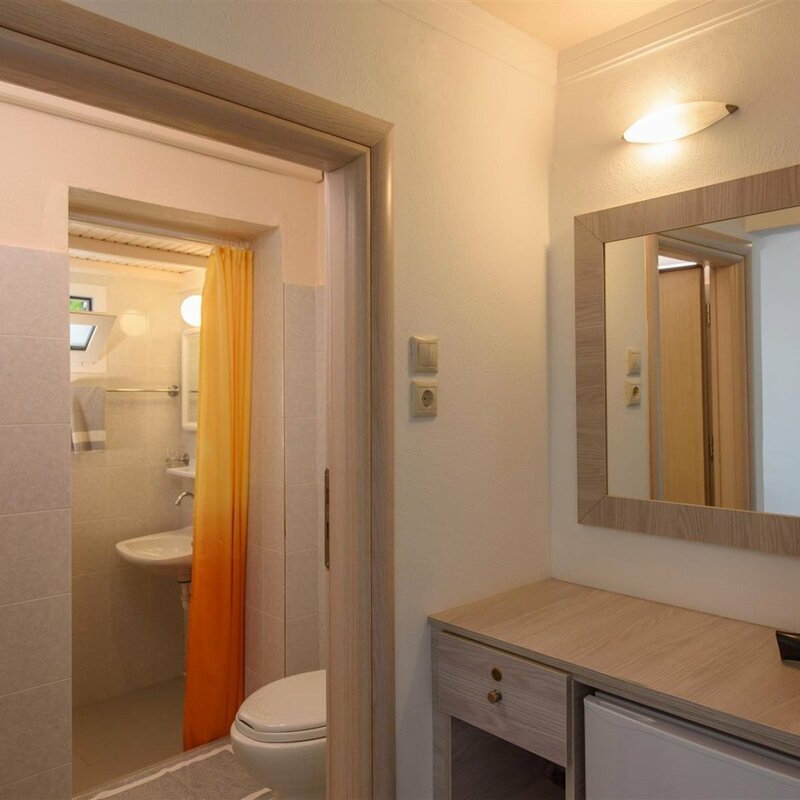 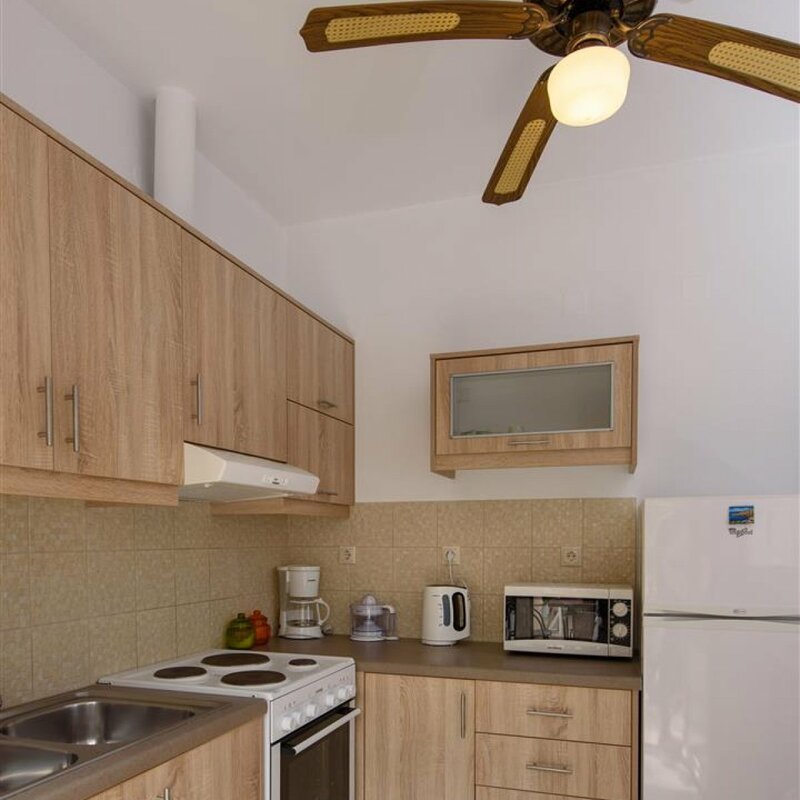 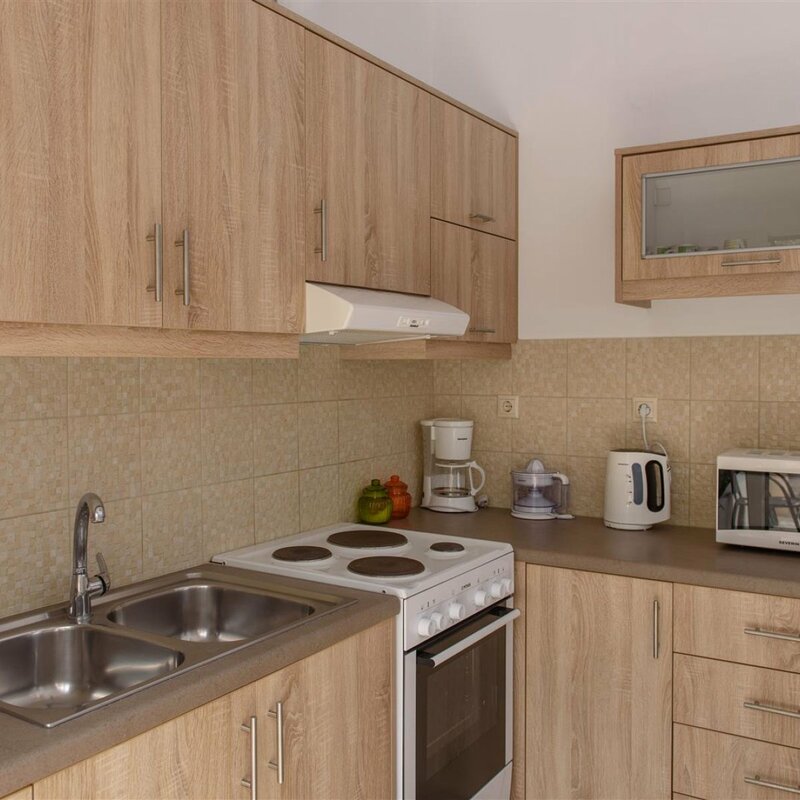 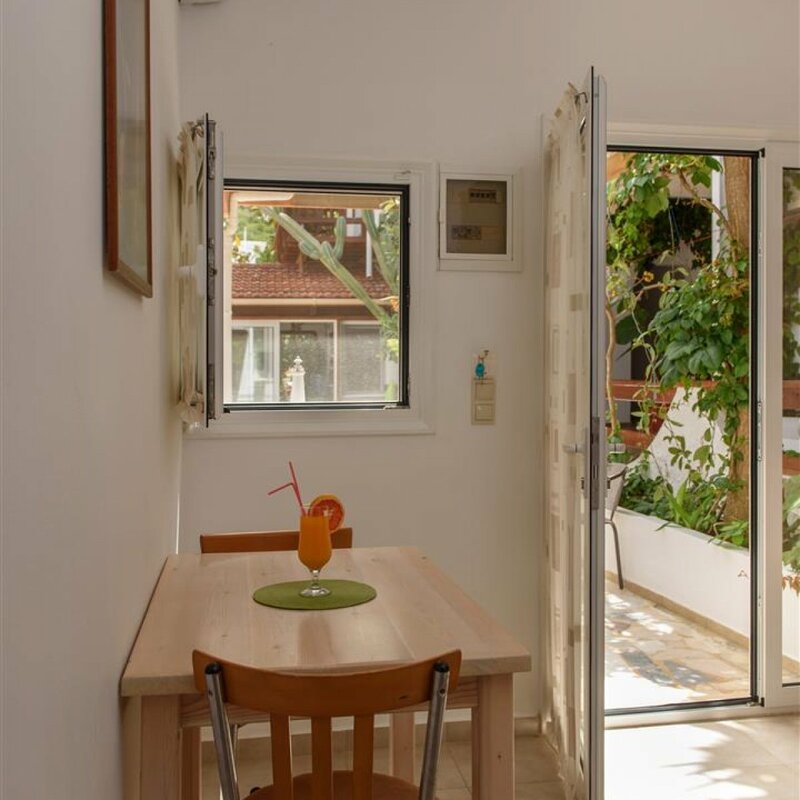 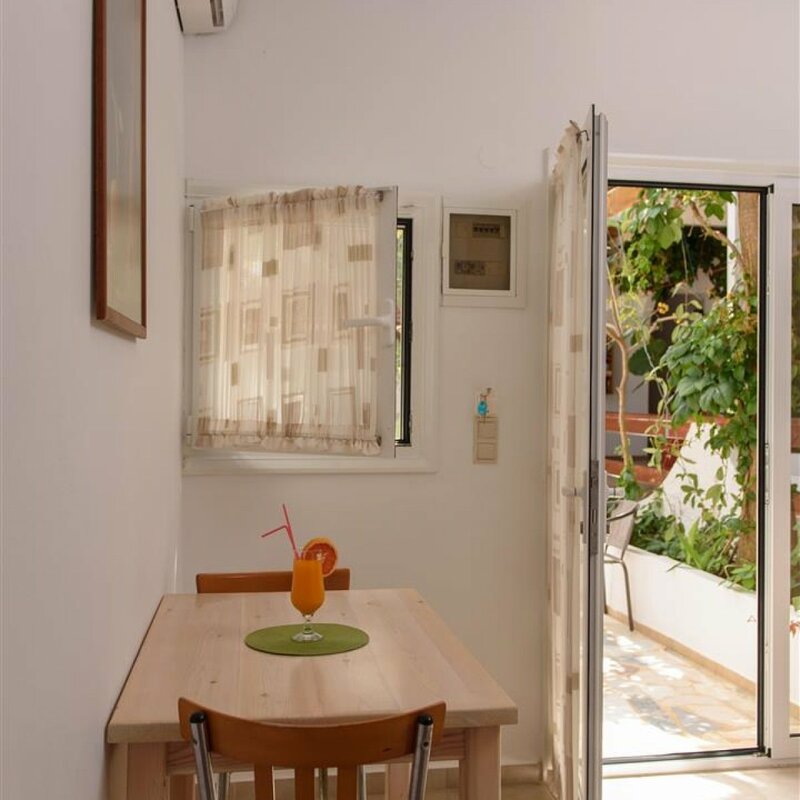 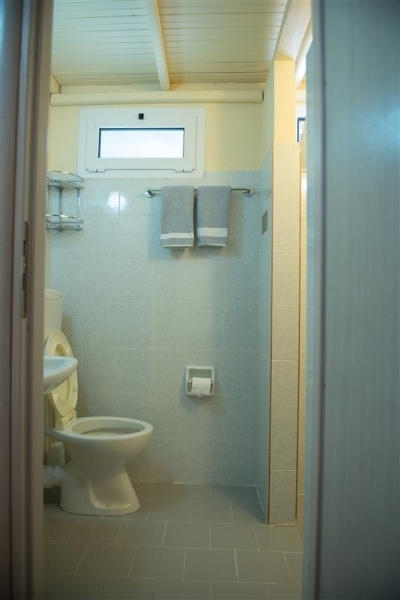 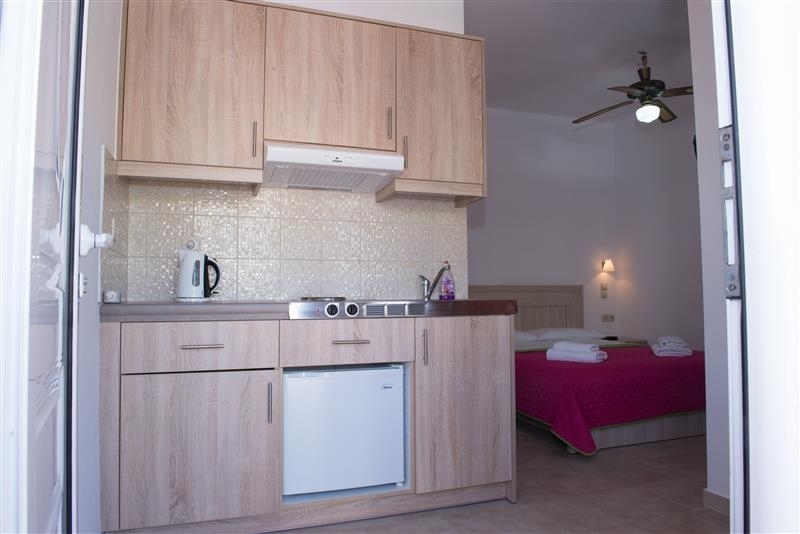 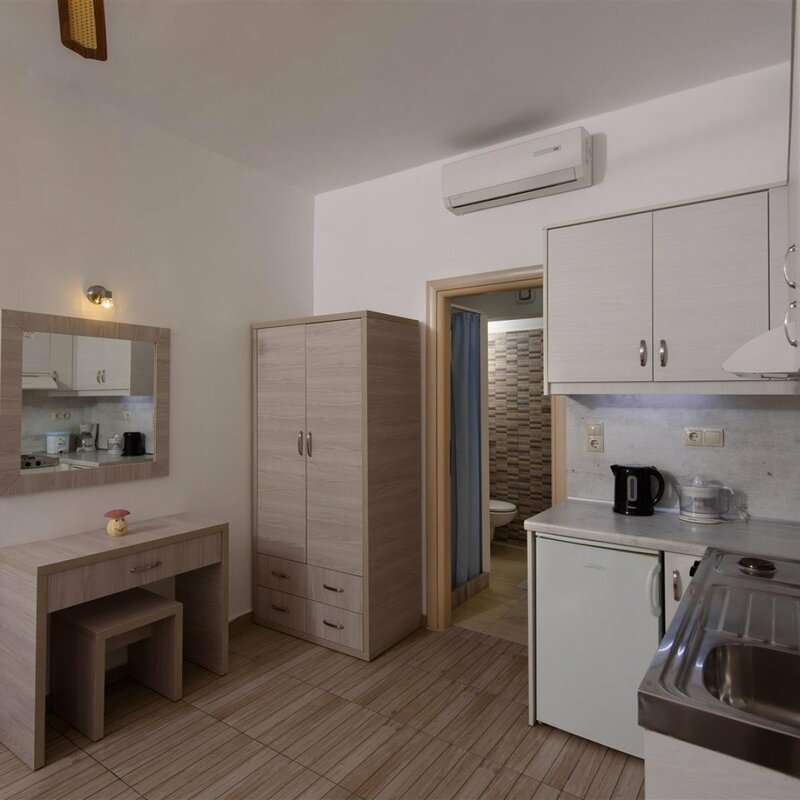 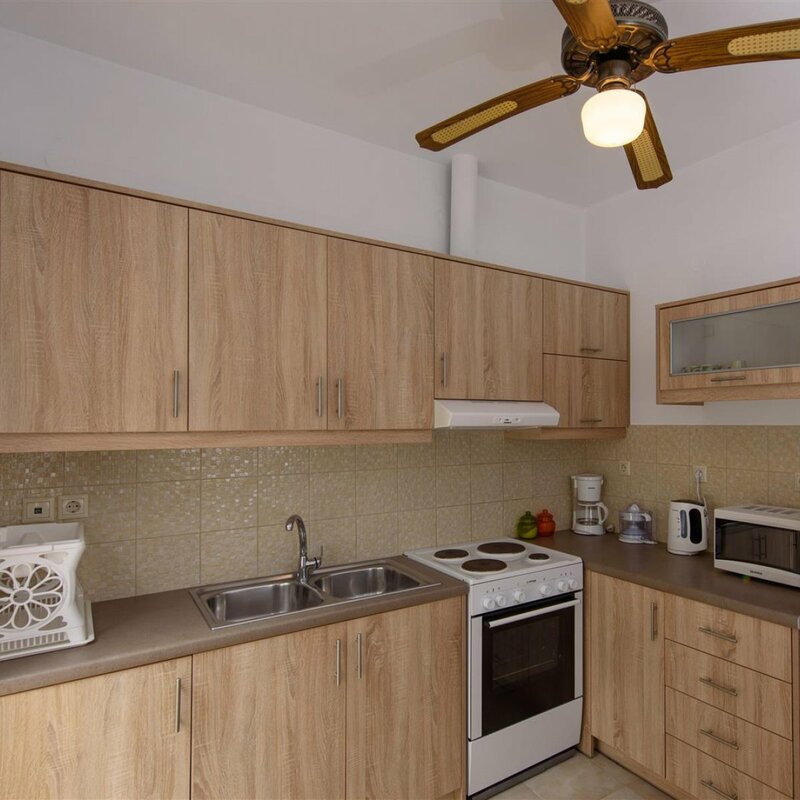 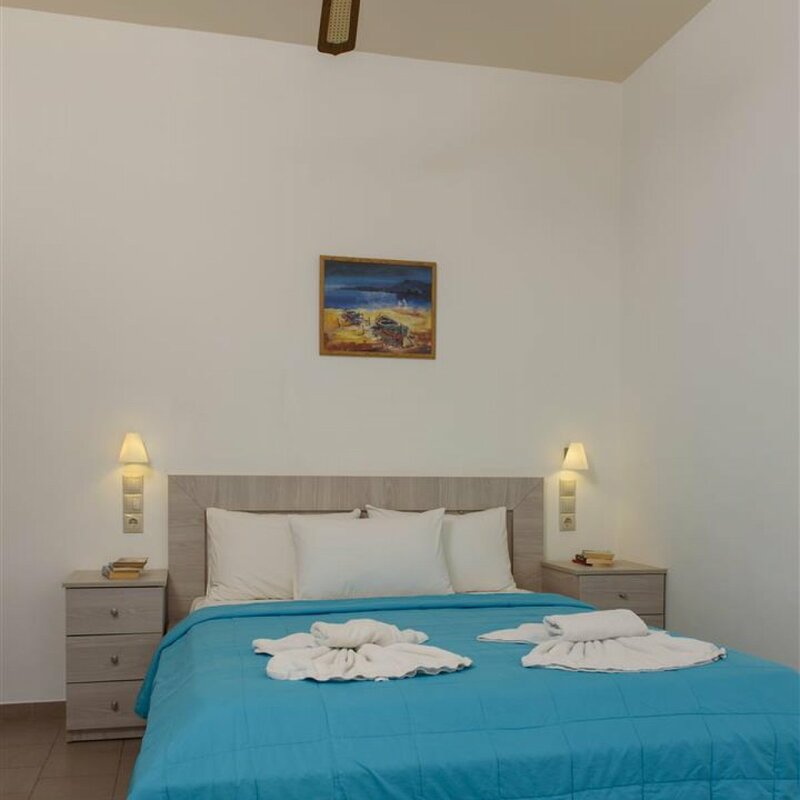 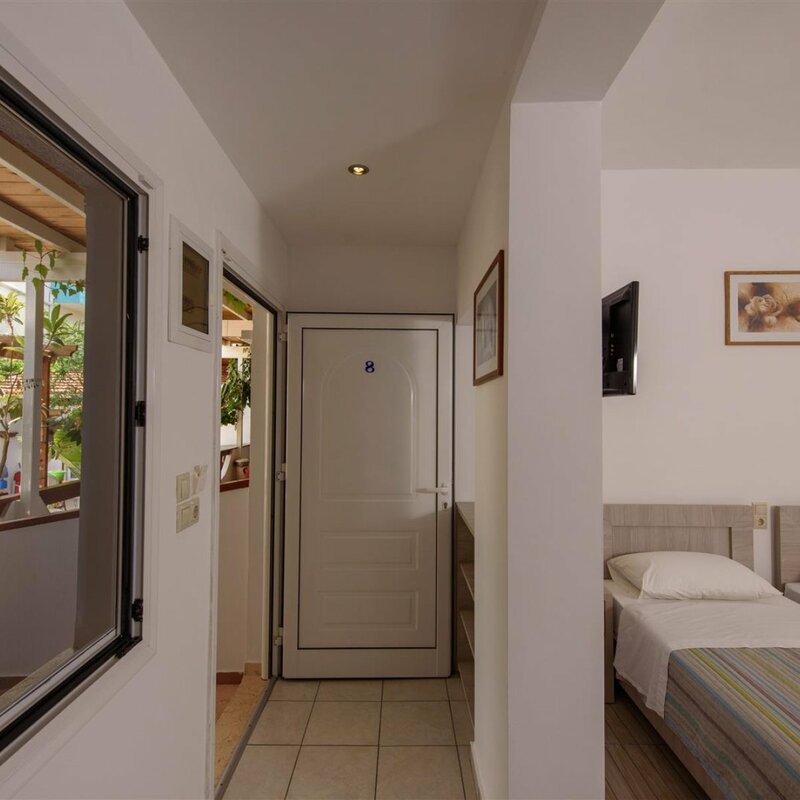 In the studio of 4 persons you will find a fully equipped kitchen, air conditioning (air-condition, fan), TV and free wireless internet access. 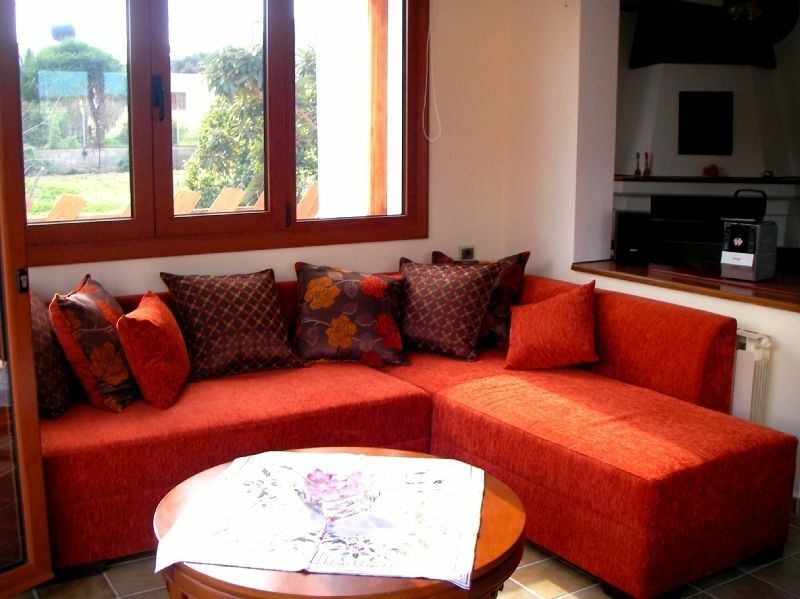 It is comfortable, suitable for families with young children. 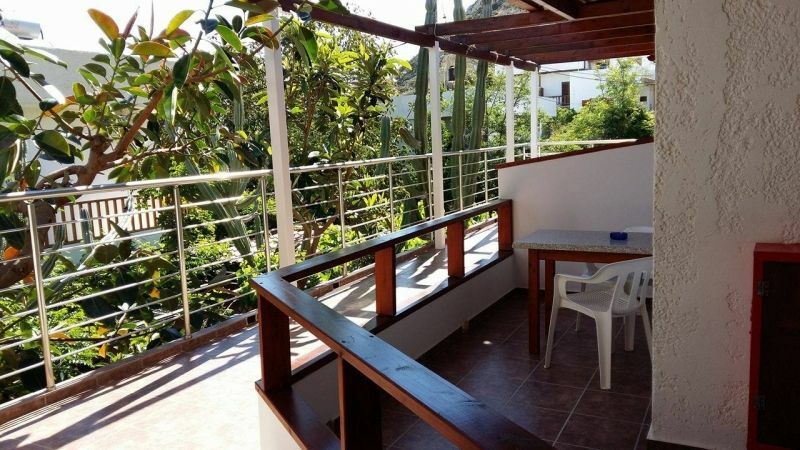 Also has a balcony with view to the garden of our hotel. 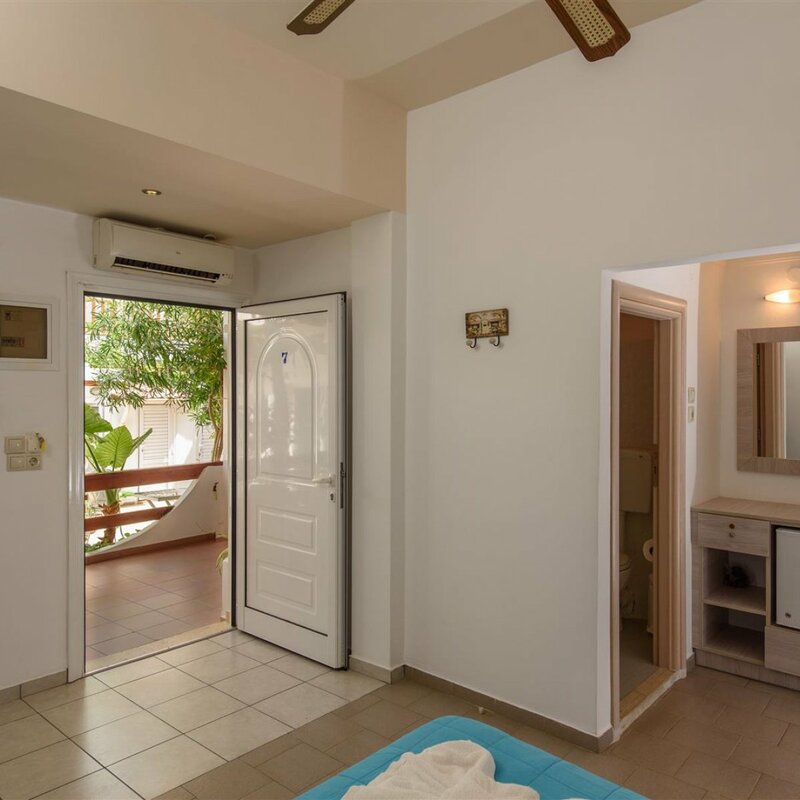 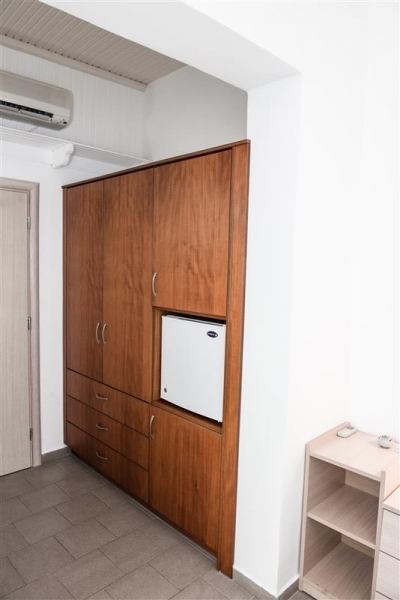 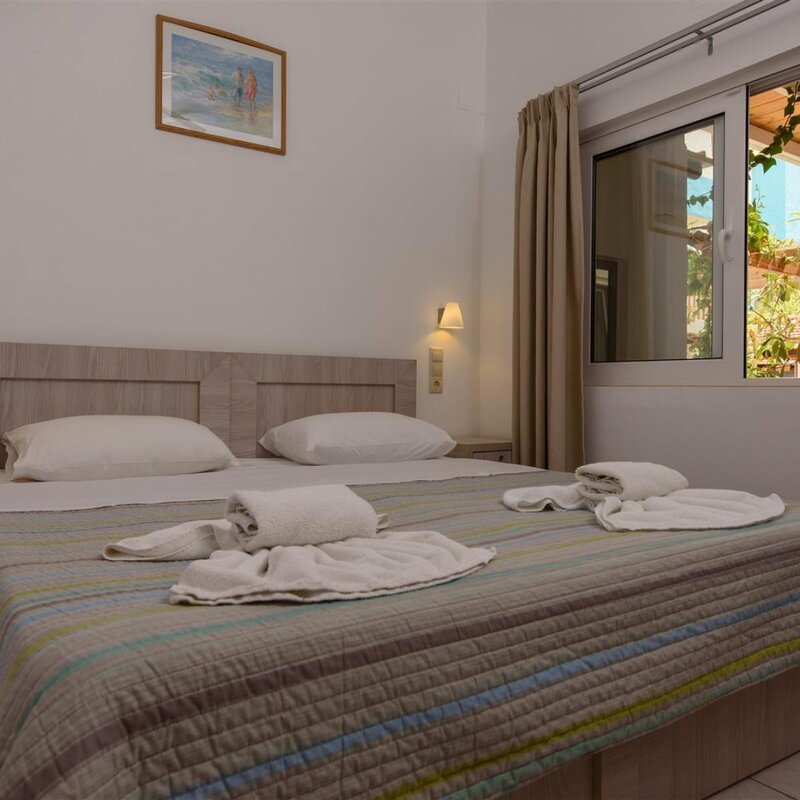 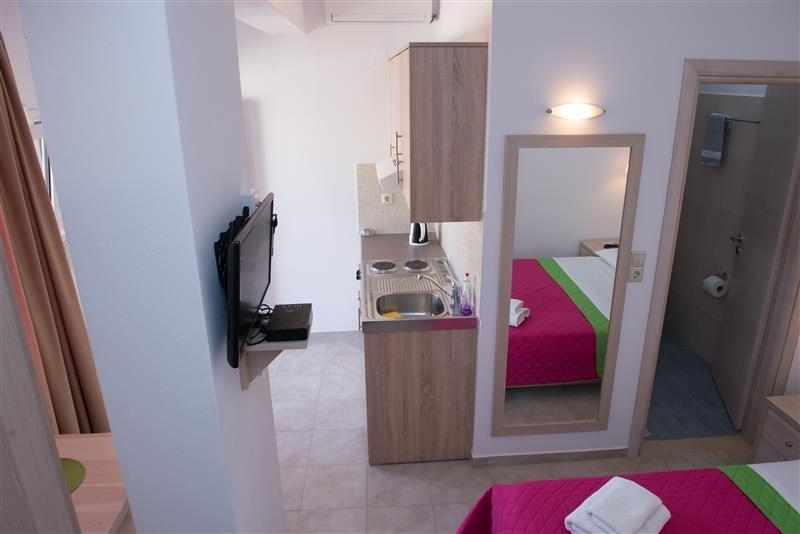 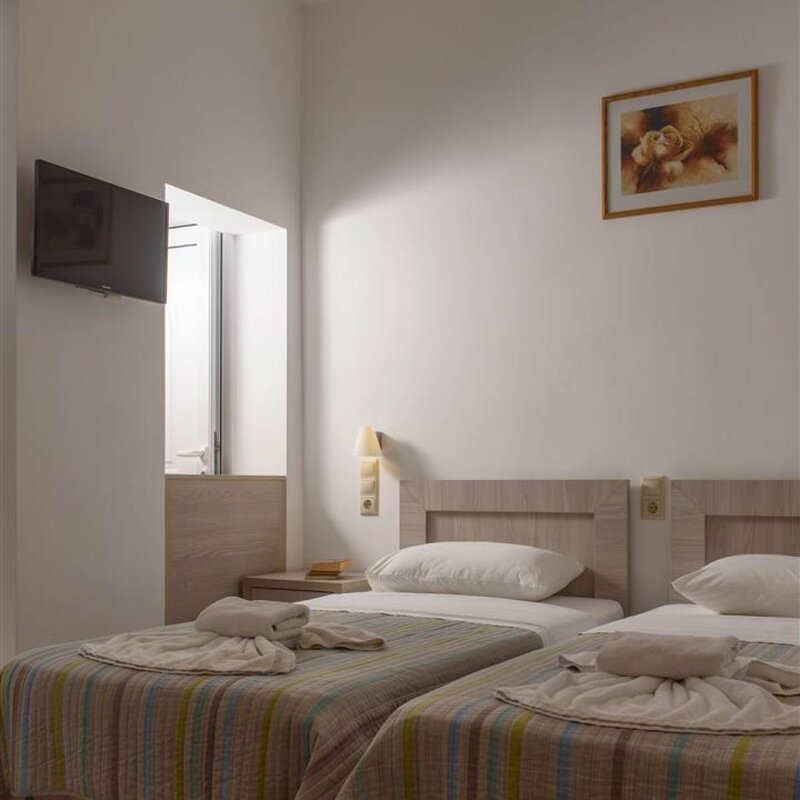 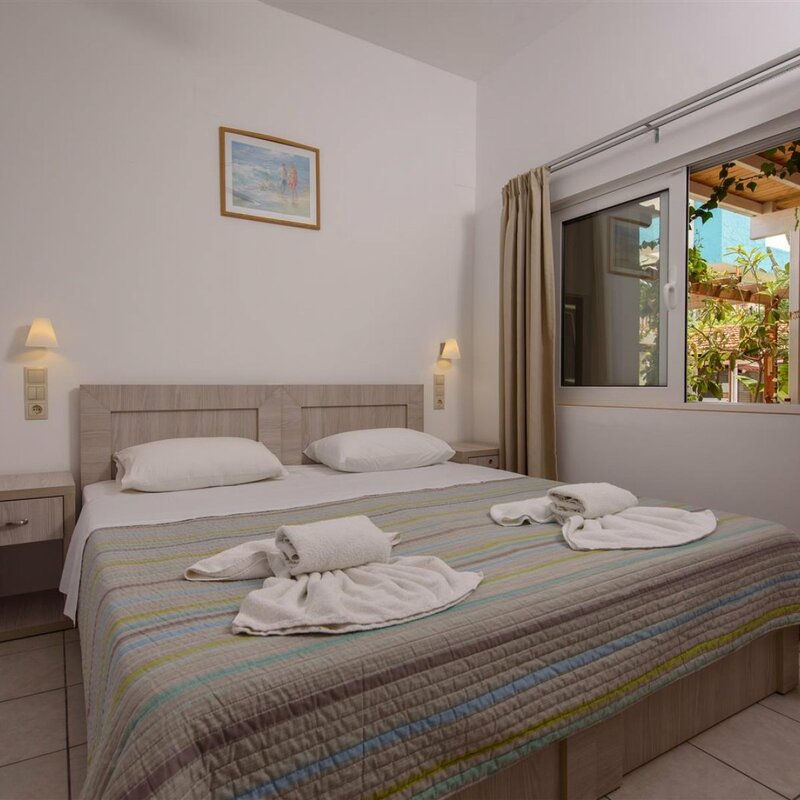 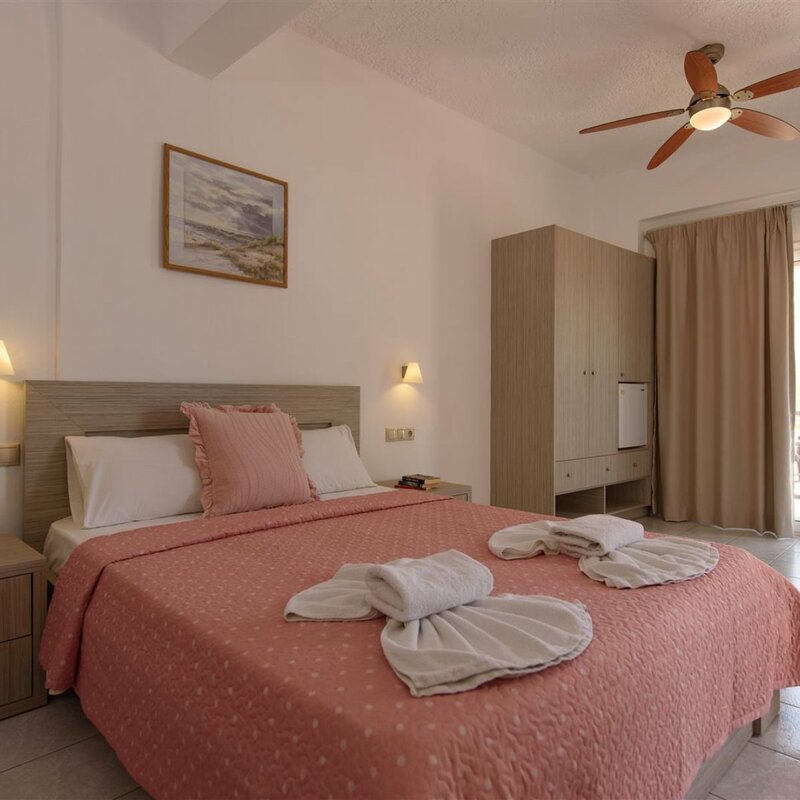 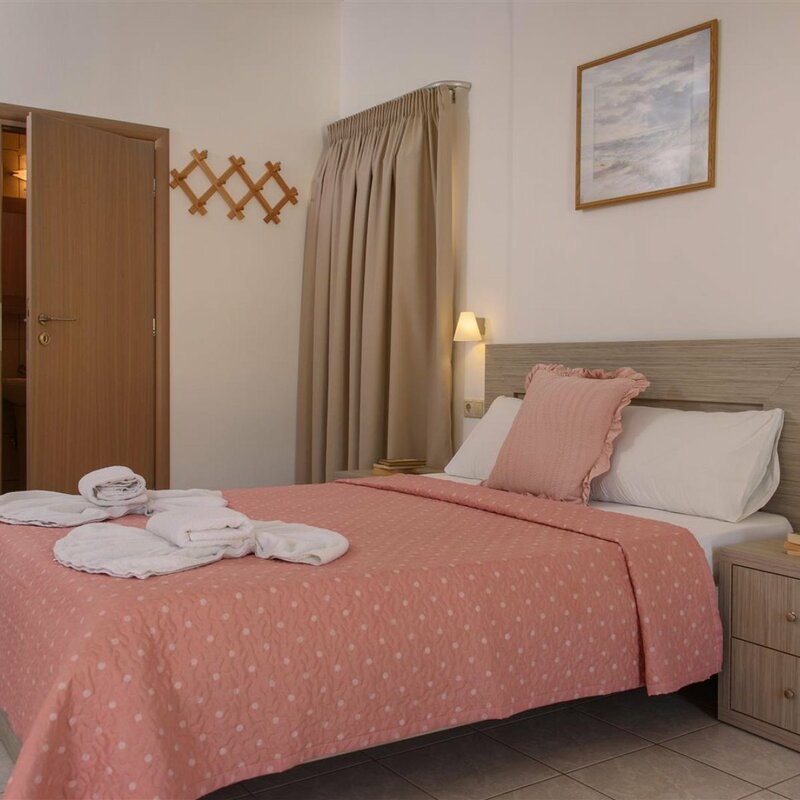 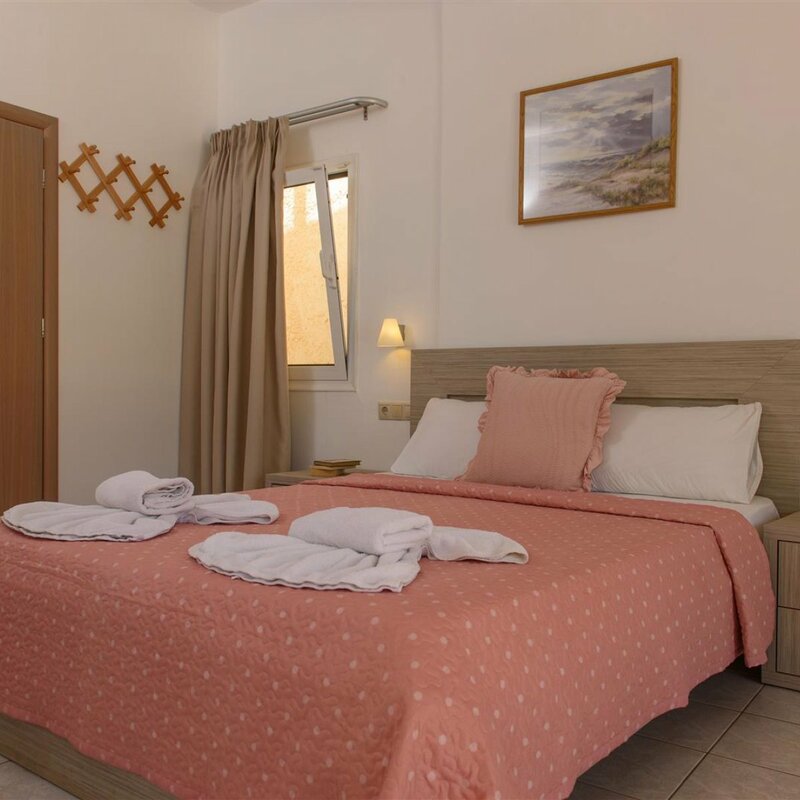 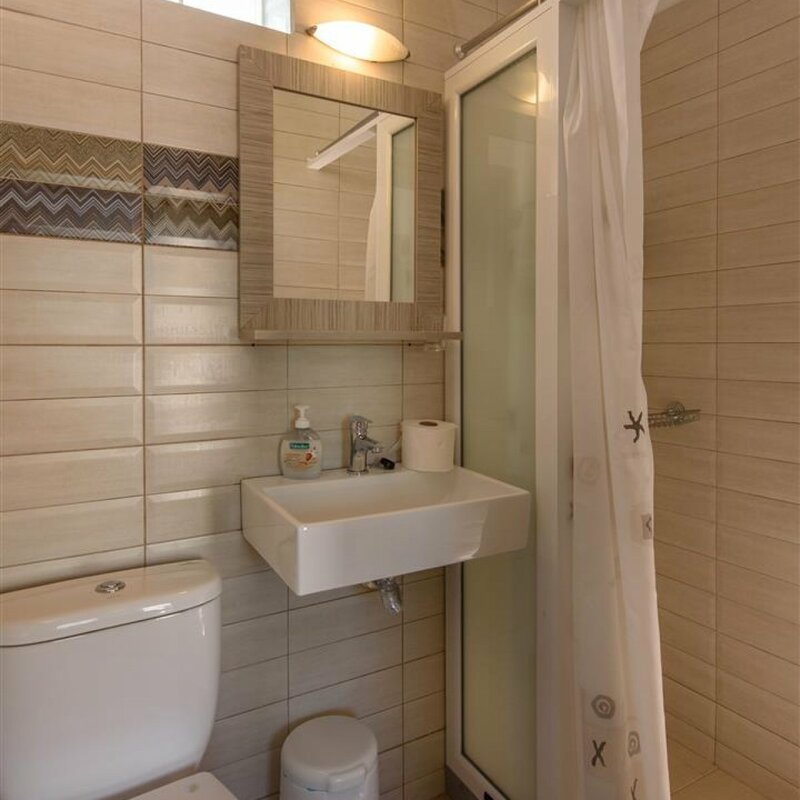 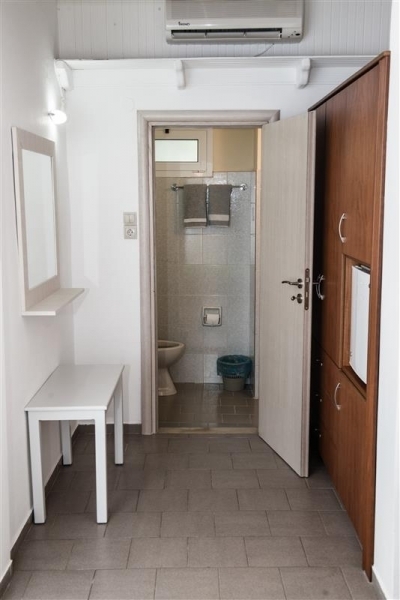 In the studio of 2 persons you will find a fully equipped kitchen, air conditioning (air-condition, fan), TV and free wireless internet access. 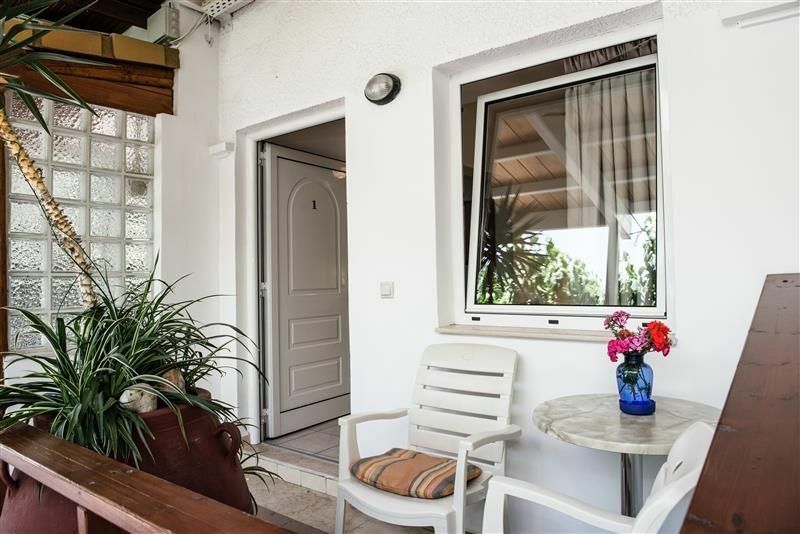 It is comfortable with a large balcony with view to the garden. 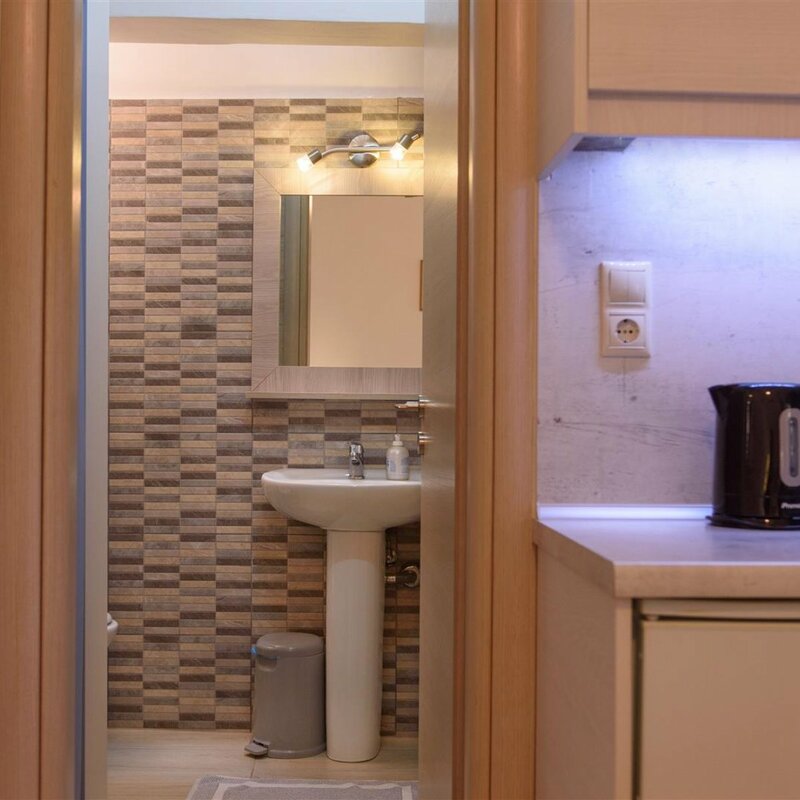 It is suitable for couples and families. 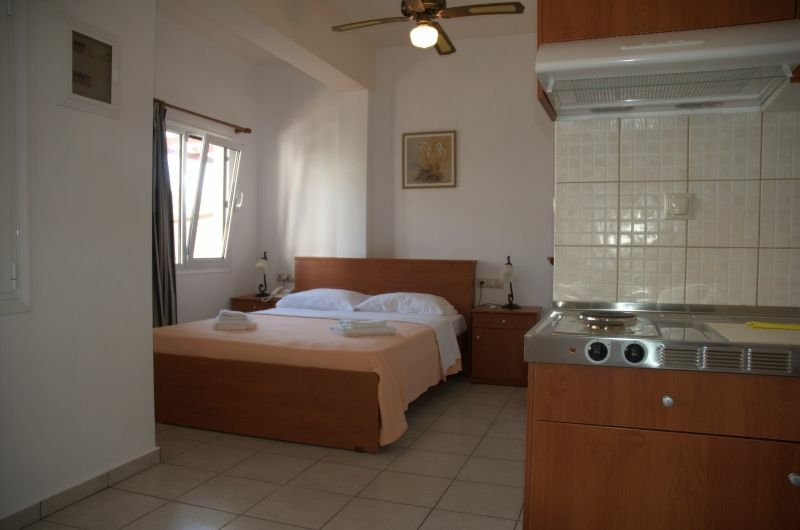 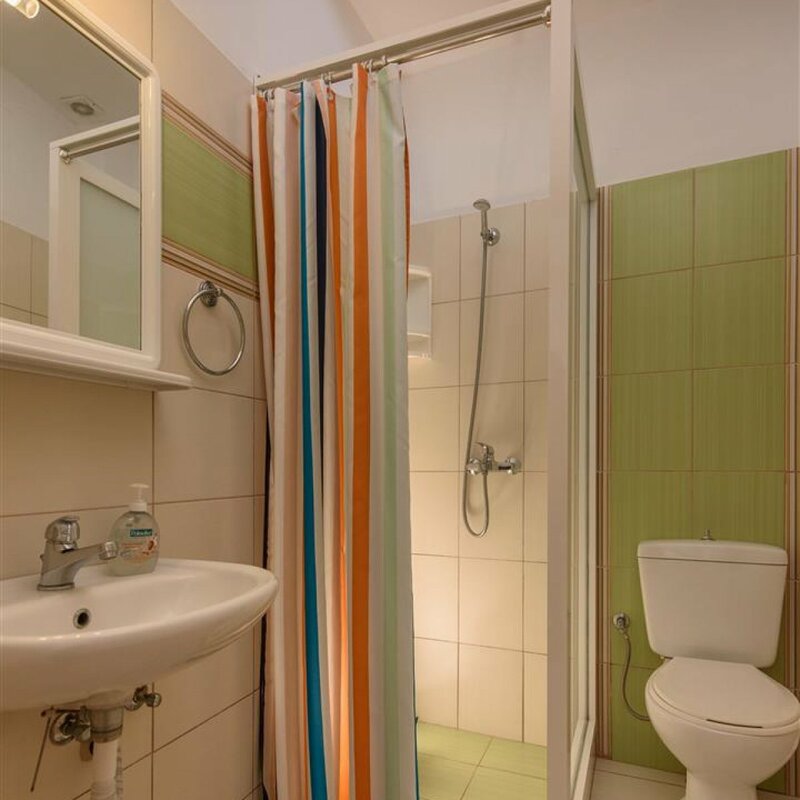 The apartment up to 4 persons has 2 separated bedrooms with 2 bathrooms and 1 fully equipped kitchen. 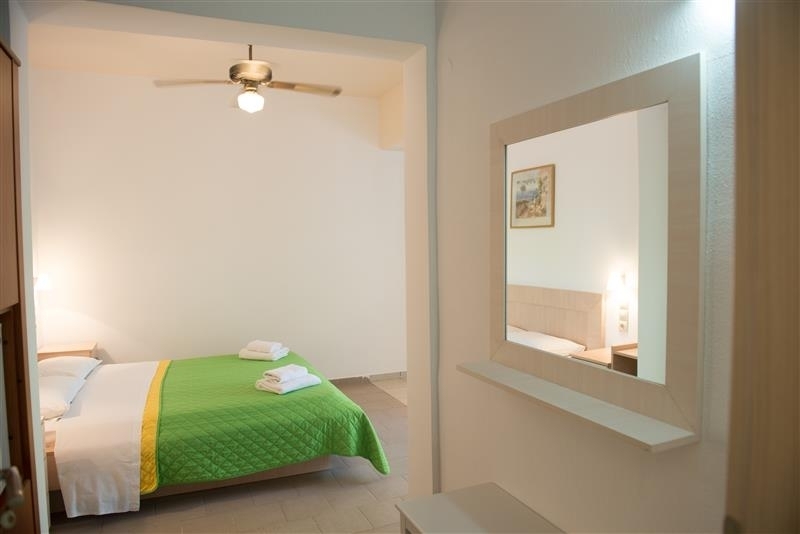 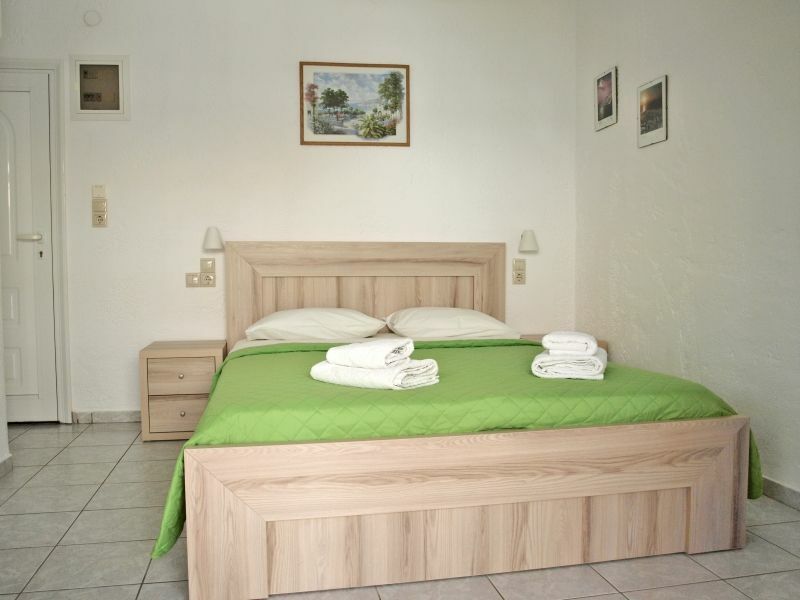 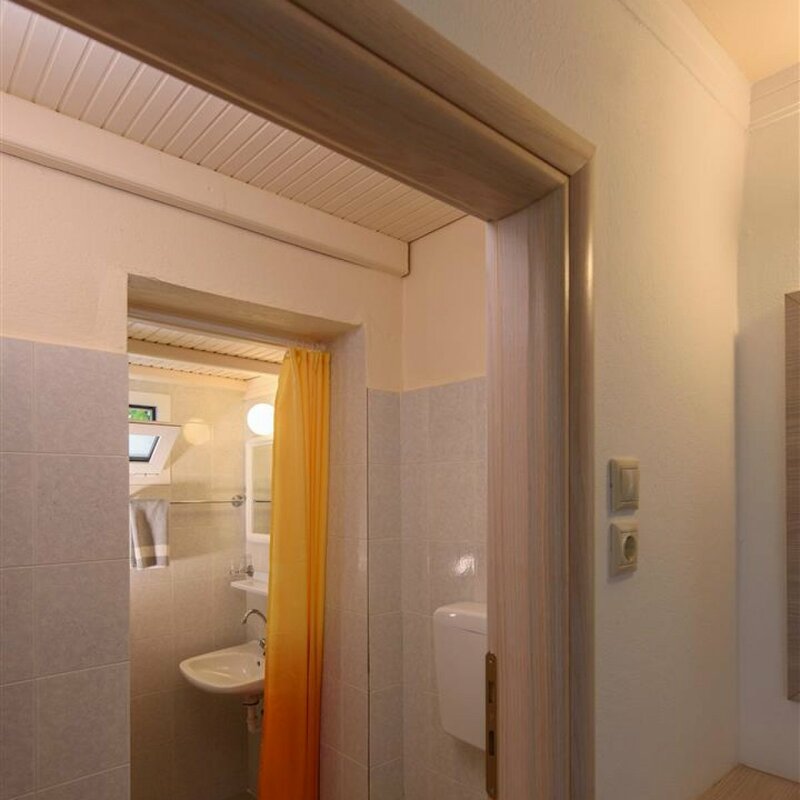 Each bedroom is air-conditioned (air-condition, fan), TV and free wireless internet access. 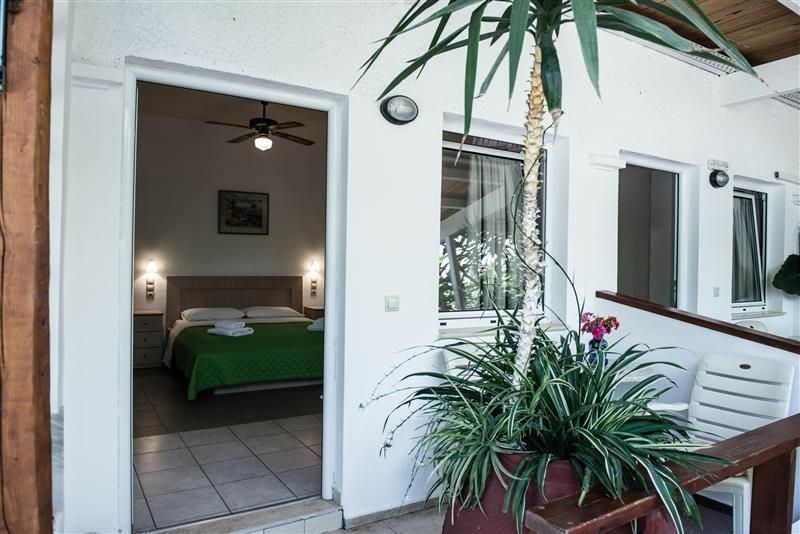 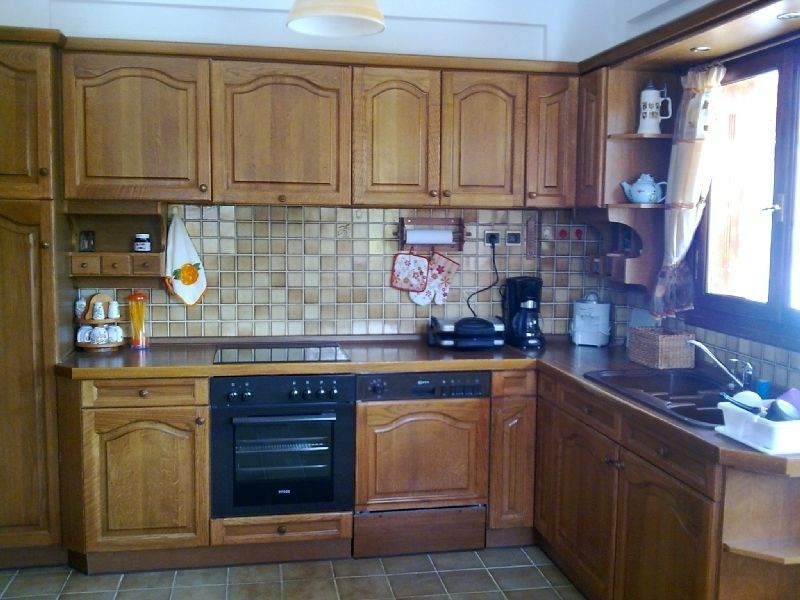 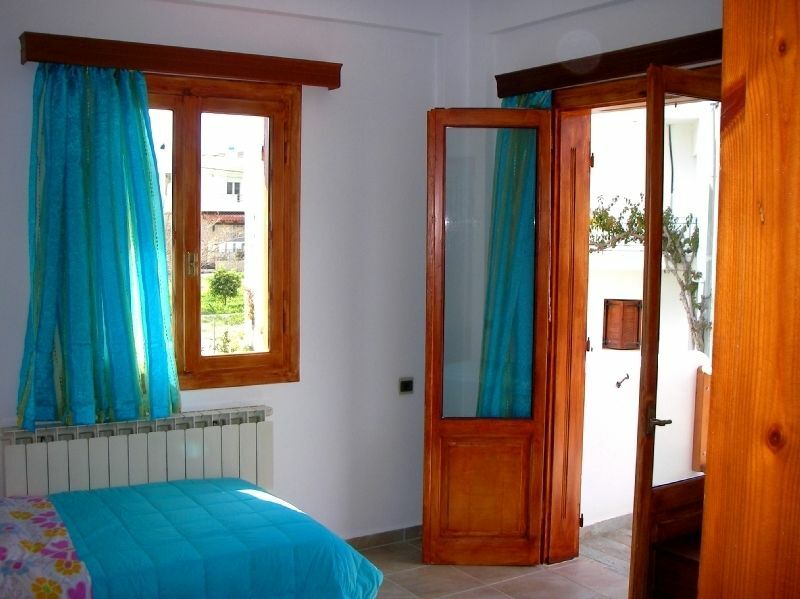 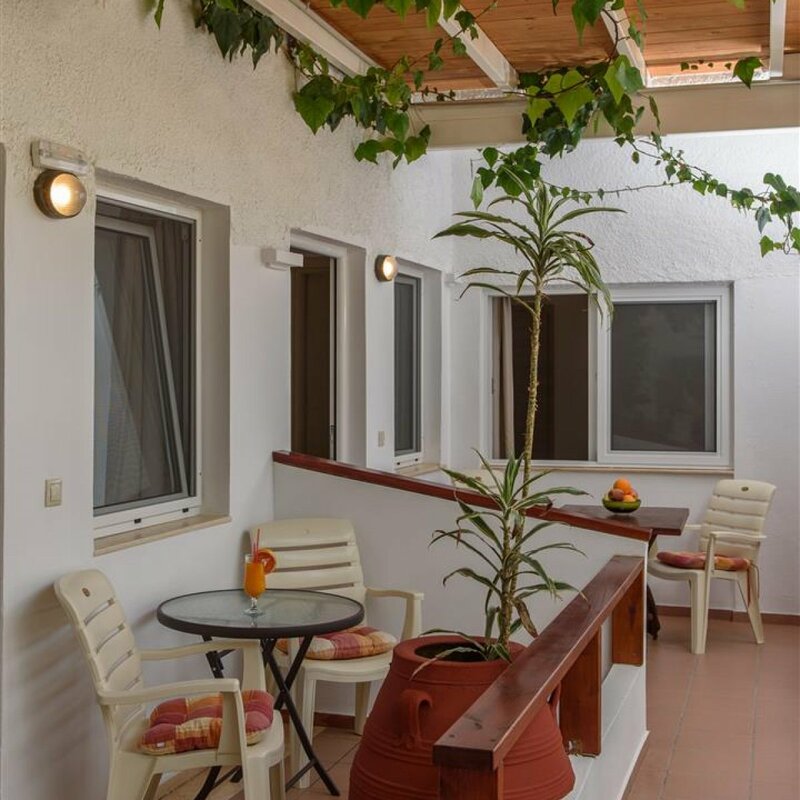 It is very comfortable apartment with a large balcony with view to the garden. 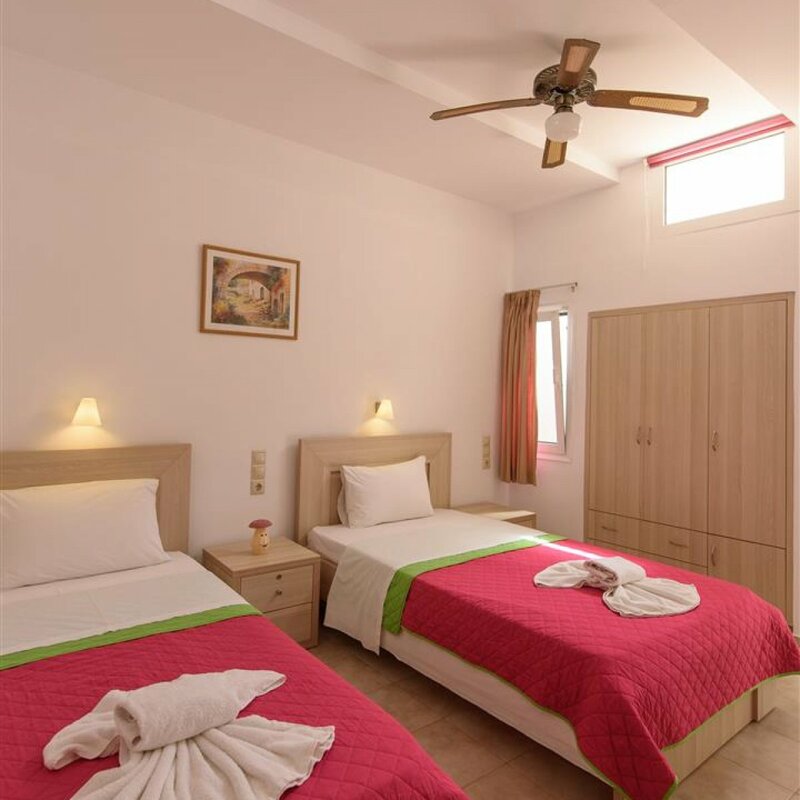 It is suitable for couples and families. 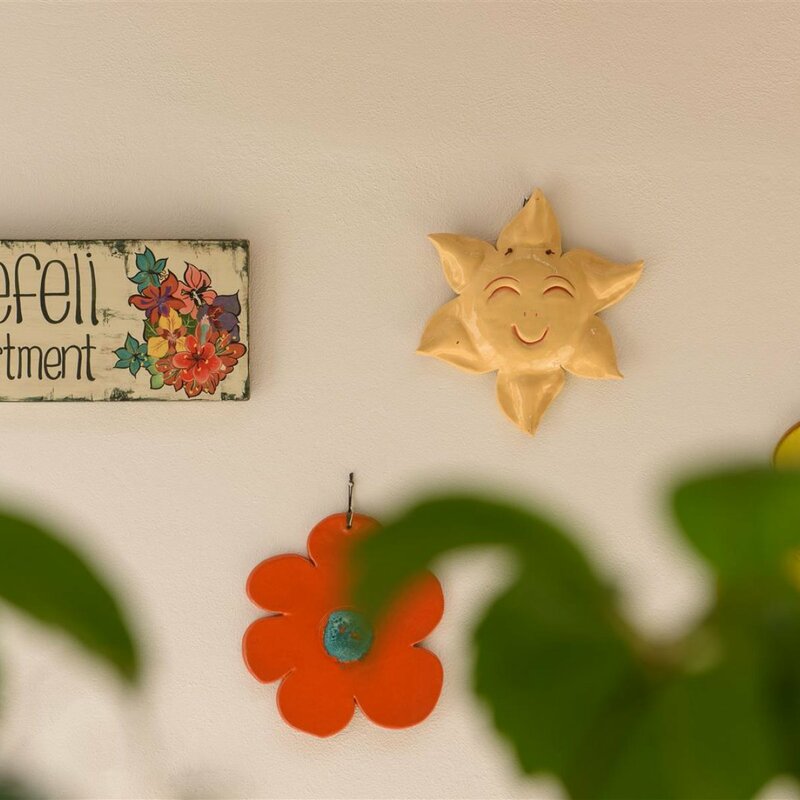 Villa Muse is a 200 m² house with 4 separated bed rooms, detached house with a large, enclosed garden, swimming pool, four terraced bedrooms, a fireplace and central heating. 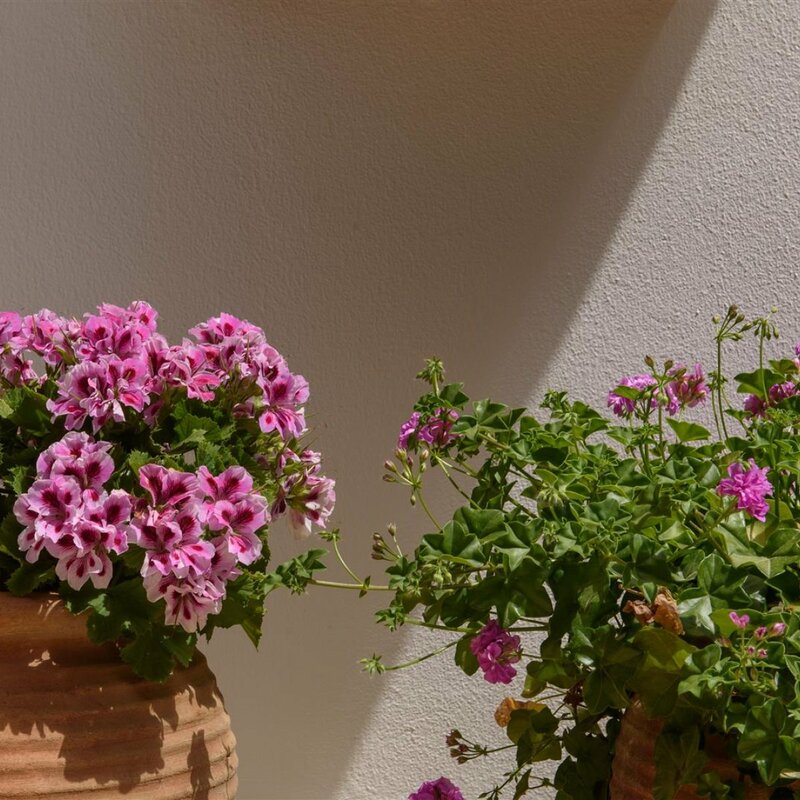 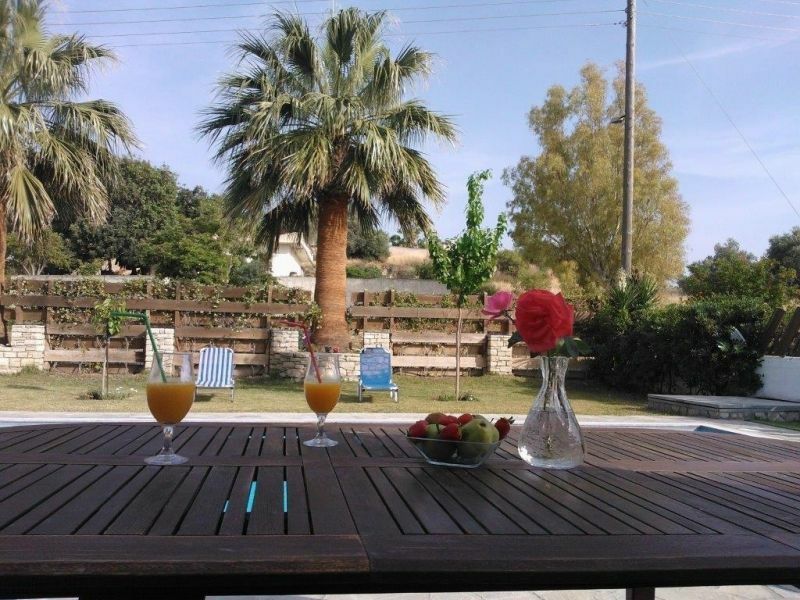 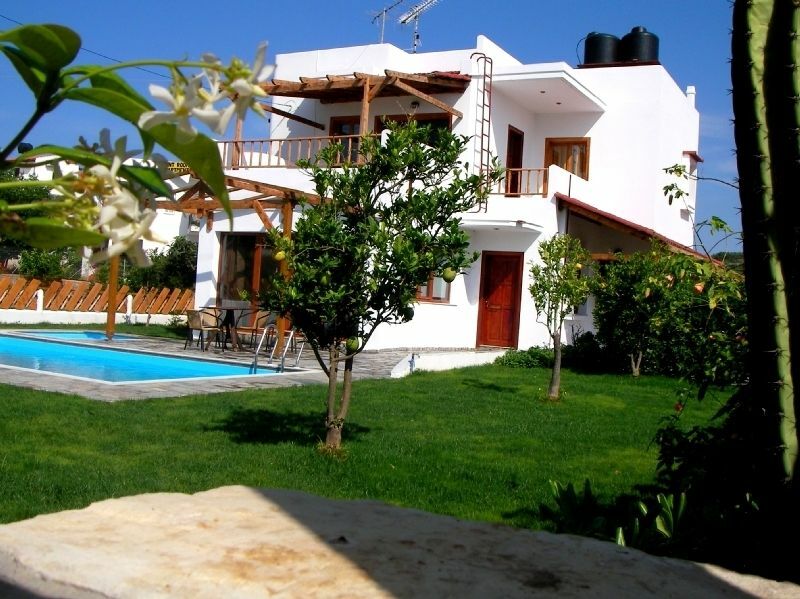 It is ideal for everyone wishing to spend their holidays in southern Crete. 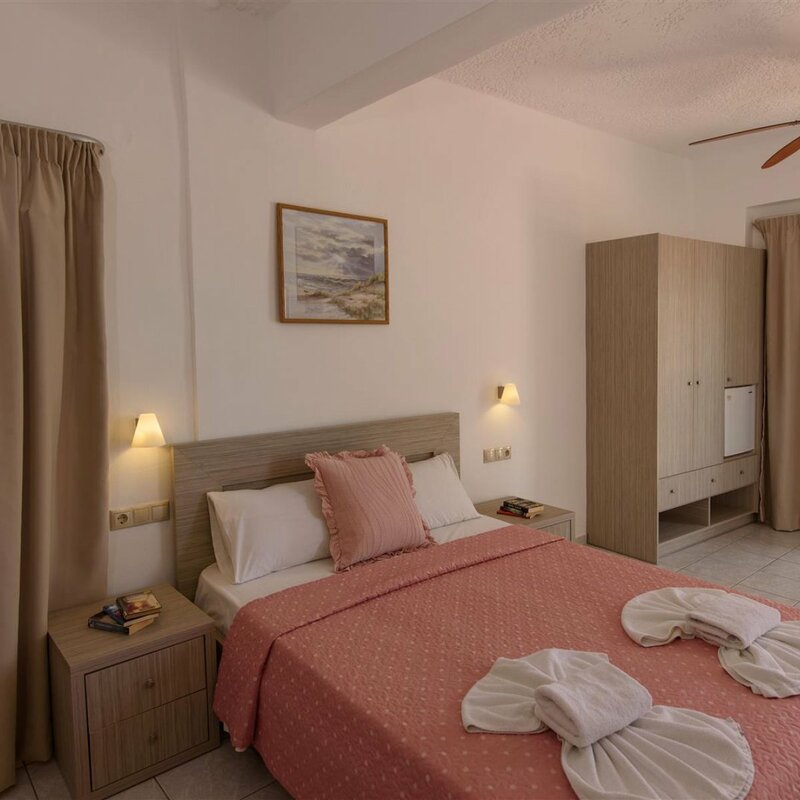 It was renovated in the winter of 2008 and is now ready and fully-equipped to welcome all guests who wish to enjoy nature’s beauty.